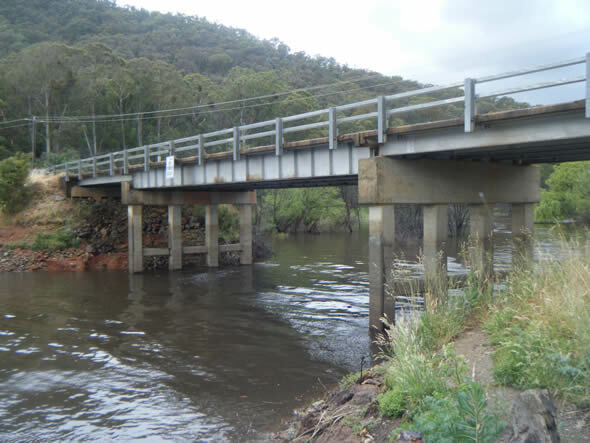 Level: If the gravel races are runnable at Running Water Creek Camping Reserve you are good to go! 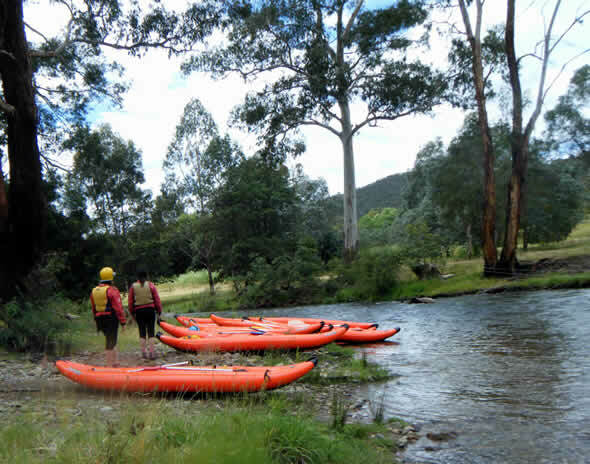 This scenic section of the Howqua is has some tight bends linked with gravel races, some short grade 1 and two rapids and one weir drop located just after a private property access bridge. This access bridge is roughly half way to the finish. I had to under take 6 portages 5 due to trees across the river and a sweeping long bend which was full of willow trees. Spotted along the way were a mod of kangaroos, black cockatoos, black ducks, cormorants and a wedge tailed eagle. 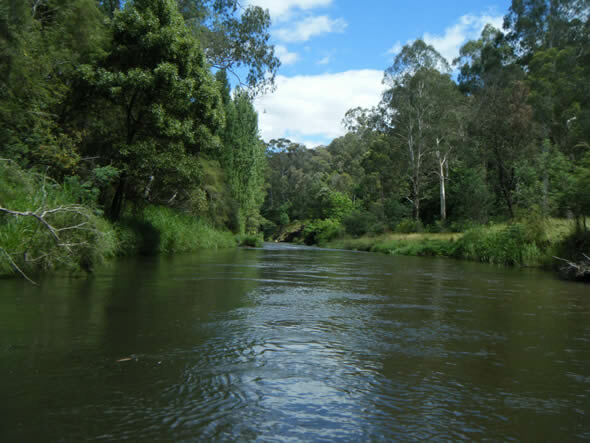 I paddled this in December and the cicada singing in parts of the river were deafening. When you reach Camp Howqua it is not far to the Jamison Road bridge finish. 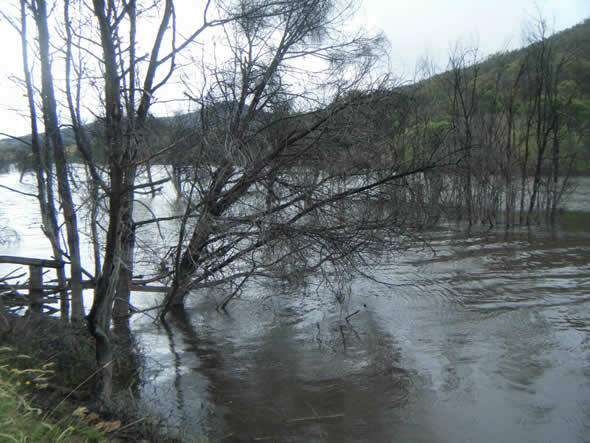 When Lake Eildon is close to full the Lake and River met at the bridge. A great fun trip.